Brokerage Union Gaming Securities Asia Ltd thinks it unlikely that Phase 3 of the Galaxy Macau casino resort will open before the middle of 2020. 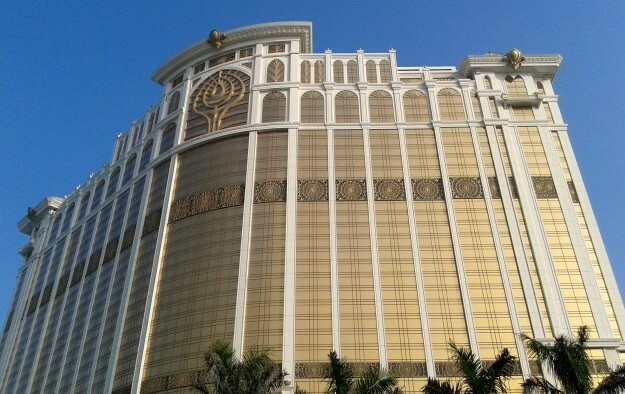 The institution said so in a Thursday note on Galaxy Entertainment Group Ltd, operator of that Macau casino resort (pictured), after the casino business issued highlights of its third-quarter results. “While design work continues to move forward on Phase 4, construction on Phase 3 has largely maxed out for the time being as the company waits on various government approvals. With this in mind, it appears that Phase 3, including the first batch of hotel rooms, is unlikely to come online before mid-2020,” Union Gaming analyst Grant Govertsen wrote. Another brokerage, Sanford C. Bernstein Ltd, also mentioned the expansion of the Galaxy Macau in a note issued on Thursday. “Phase 3 is now slated to open in mid-2020 as there have been some delays. Phase 4 continues with site preparation,” the note stated, without elaborating. Galaxy Entertainment chairman Lui Che Woo said in May he thought that at least ‘part’ of Phase 3 would open next year. But in August, Francis Lui Yiu Tung, deputy chairman of Galaxy Entertainment, had mentioned what he called “stage one” of Phase 3 might open in 2020. At the firm’s annual general meeting, he told reporters the development of both remaining phases of Galaxy Macau had been accelerated. Galaxy Entertainment’s current Macau gaming rights are due to expire in 2022. According to previous commentary, Phase 3 would feature 1,500 hotel rooms, a casino and an arena that could seat 16,000 people. Galaxy Entertainment reported on Thursday third-quarter adjusted earnings before interest, tax, depreciation and amortisation of HKD3.9 billion (US$497.5 million) 10 percent more than a year earlier, on net revenue that grew by 6 percent to HKD13 billion. Union Gaming and Sanford Bernstein both said the third-quarter results were roughly what they expected. Union Gaming has kept its “buy” rating for shares in Galaxy Entertainment but reduced its price target to HKD57 a share from HKD84 because of the delay in the expansion of the Galaxy Macau, while Bernstein has a “market perform rating for the stock and a target price of HKD62.75.